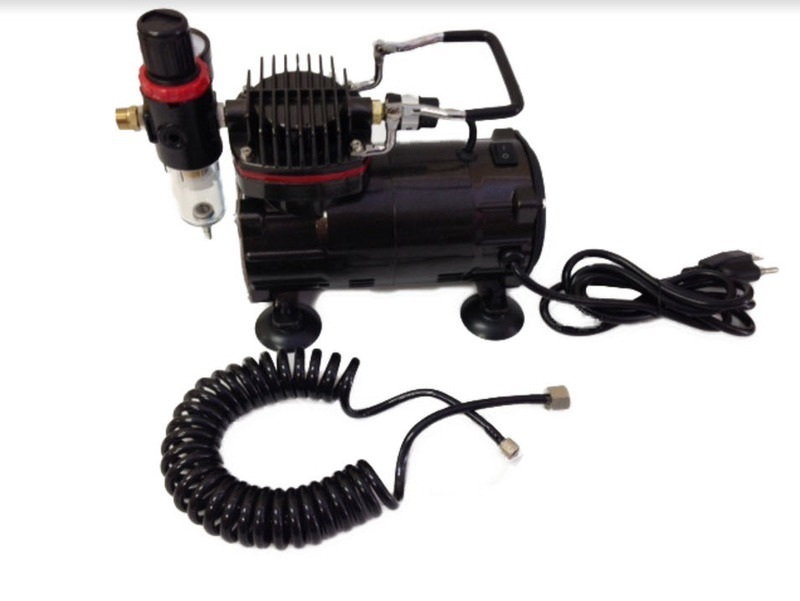 The Inovart WAC-1000 Mini Air Compressor is provided by the company that has been at the market more than 15 years manufacturing products for art and craft. Inovart Inc. specializes in materials for printmaking, calligraphy, scratching, drawing and many others. Also, Inovart Inc. produces easels, boards, paper, light boxes, weaving looms and more. You can find everything you need for any hobby or craft, from art palettes to blank puzzles, at low prices. What is more important, Inovart products are suitable not only for kids but also for adults, developing their skills in art. According to the company policy, the main purpose is to educate children, engage them and inspire them to create amazing artworks. The Auto Shutoff Function. It’s helpful, especially in case you forget to turn off the motor. The auto shutoff feature switches off the motor when it’s not used and switches the device on again after resuming the airbrush. Compact Size. The compressor is smaller in comparison to other devices. However, the small size doesn’t impact the capability of the motor, delivering the same output as the usual machine. Moreover, such compactness of the item grants the portability. Light Weight. Another essential aspect of the item is its low weight, and the WAC-1000 is several times lighter than air compressors of other brands. That characteristic provides easy carrying so that you could use the device even in a tight space. Quietness. The noise level of the compressor is so low that you may not even notice the motor running. In this manner, you can go deep into your work without being distracted by the noise of the compressor. Versatility. 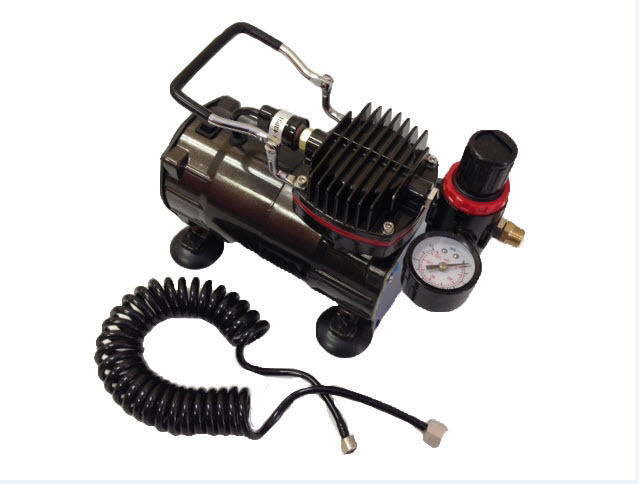 The WAC-1000 air compressor can be used for many applications including airbrush painting, craft, makeup, tattooing, and textile painting. To sum up, Inovart WAC-1000 airbrush compressor is miniature, light, silent, but still very powerful, so it's an ideal solution for any artwork.